Our reputation for inspecting leading student accommodation projects across the UK is growing from strength to strength, and we are delighted to have won a project with a new client to add to our growing student accommodation portfolio. Birmingham-based Czero Developments was founded by Simon Linford and Robert Pearson in 2008. 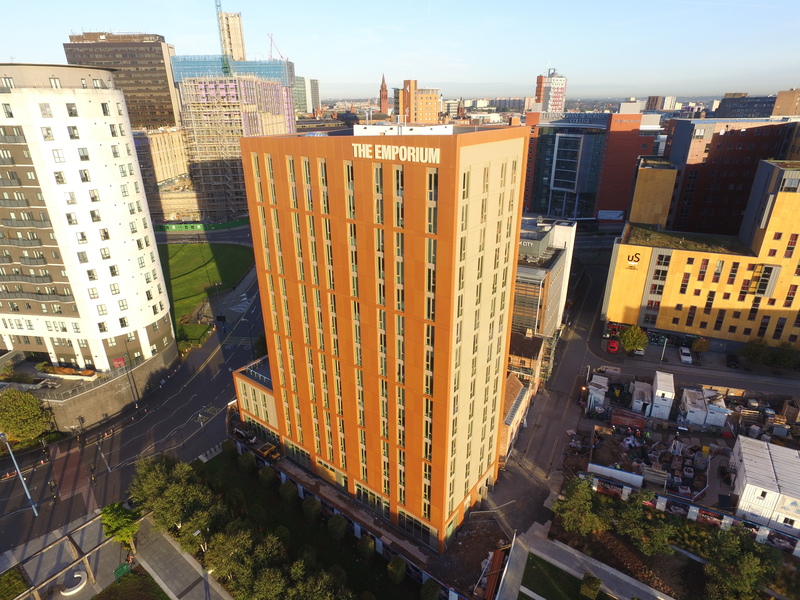 The Emporium, one of their latest projects, offers stylish student accommodation right in the heart of Birmingham and is an ideal location for students attending Birmingham City University and Aston University. Students have a choice of various studios or 2 / 3 bed apartments all with en-suite facilities. The development encompasses the former Christopher Wray Lighting Factory, a cluster of listed buildings which are being restored and converted as part of the development. Since October 2017 we have provided Quality Site Inspections on this 15-storey development, assisting them to comply with the specifications of their client Empiric Student Property.